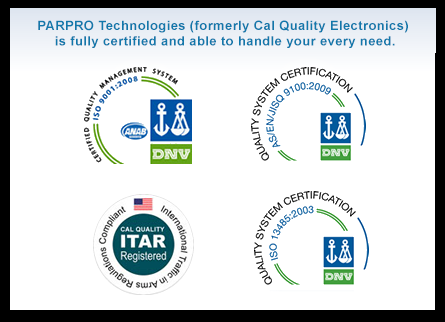 PARPRO Technologies (formerly Cal Quality Electronics) is an ISO 9001:2008, ISO 13485:2003, AS9100C certified, and ITAR registered full service Electronics Manufacturing Services (EMS) supplier, committed to the highest standards of excellence in quality and manufacturing. By offering PCBA, cable assembly services, and full system integration capabilities, PARPRO provides its customers a highly integrated environment to move from prototype to volume production in dramatically compressed timeframes. With 30+ years of experience in the EMS industry, PARPRO can offer its customers a comprehensive approach to New Product Introduction. PARPRO can provide high speed placement of 01005 components, Micro BGAs, and PoP technologies. PARPRO can handle your toughest projects. Our products have seen the depths of the ocean, the surface of Mars, and countless challenging environments in between. 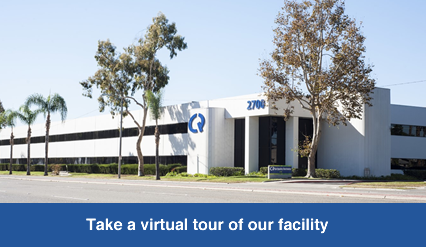 We also offer DFM, DFT, DFX and complete system testing services to help our customers improve product reliability and increase manufacturing efficiency. Let us create a solution unique to your product’s requirements and help you and your team shorten your time-to-market (TTM) with excellent quality at a competitive price. Contact PARPRO today to get started on your next project.